After my recent post regarding text editors for working with QlikView and Qlik Sense script files, Visual Studio Code was top of the wish list. There was already a Qlik VS Code extension available in the VS Marketplace, that whilst not perfect was a great start. 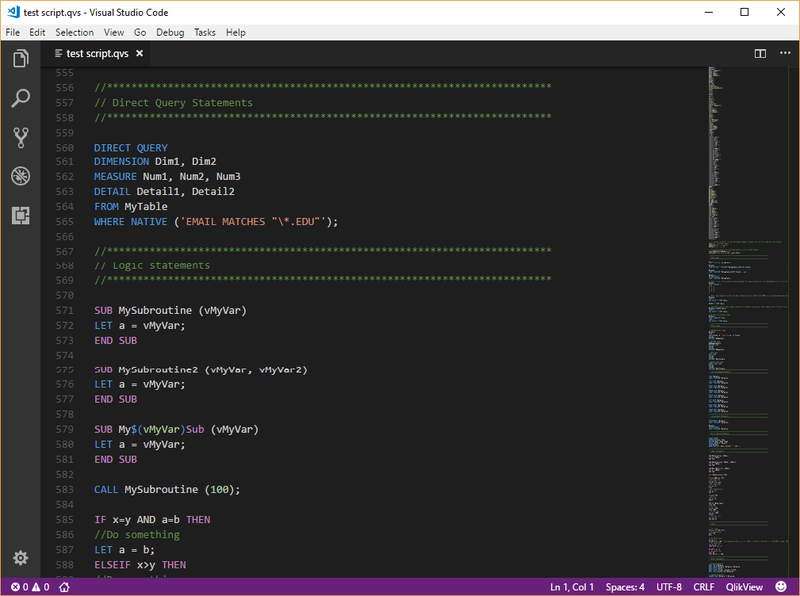 So I reached out to it's author Xavier Hanh with an offer to collaborate on improving the syntax highlighting it offers. 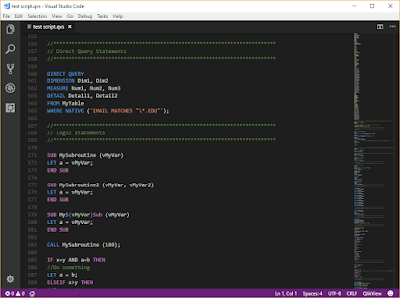 I'm pleased to announce the first fruits of the collaboration, a new release of the Qlik for Visual Studio Code extension. A significant number of functions are still not highlighted correctly. These will be addressed in the next release. If you already have the extension installed in VS Code, you should be prompted to upgrade when you next open it. If you don't, head to the VS Marketplace now to install.